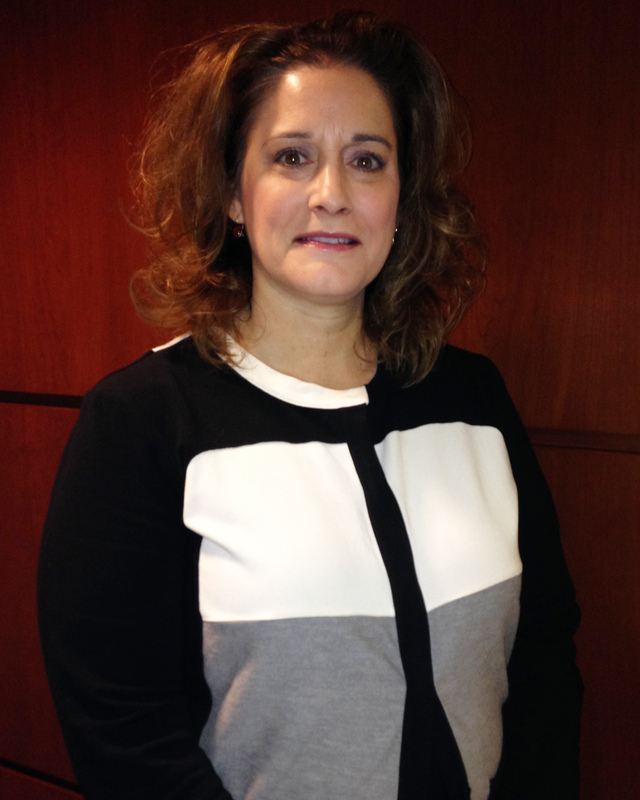 Dr. Rossler joined Baylor University Louise Herrington School of Nursing in 2014 as an Assistant Professor. Dr. Rossler entered into academia in 2006 as a Faculty Instructor at the University of Louisiana at Lafayette. Her work history in nursing education also includes a position of Assistant Clinical Professor at Texas Woman’s University School of Nursing in Dallas, Texas and Assistant Professor at Armstrong State University College of Health Professions in Savannah, Georgia. Dr. Rossler has over 23 years of experience working and teaching in the critical care hospital setting. She joins Louise Herrington School of Nursing teaching simulation and holds the designation as a Certified Healthcare Simulation Educator. Research interests include the effectiveness of simulation-based teaching strategies on improving interprofessional education and collaborative practice among nurses and healthcare professionals. Additionally, her research focuses on developing studies using immersive virtual reality-based experiential learning. Dr. Rossler’s Dissertation work is entitled: “Exploring Interprofessional Education through a High-Fidelity Human Patient Simulation Scenario: A Mixed Methods Study." She has presented her dissertation at international and national conferences focused on nursing and simulation. To view Dr. Rossler's faculty spotlight video that shares more information about her research click here. Rossler, K. (2017). Participating Investigator as Study Site for Research Project: Virtual Reality ‐ Sterile Urinary Catheter Insertion System (2nd Gen) Usability Study. Principal Investigator, Karen R. Breitkreuz Ed.D, MSN, RN of Boise State University. Rossler, K., Hardin, K., Taylor, J. (2017). Developing a Collaborative Nursing Practice: Transitioning Newly Licensed Nurses with Simulation-Based Interprofessional Education. Principal Investigator: Dr. Rossler, IRB Approval Baylor Research Institute 4/5/2017 and Baylor University 5/3/2017. IRB #017-115. Rossler, K., Hardin, K., Wright, K. (2017). Developing an Interprofessional Practice: Comparison of Strategies for Transitioning Newly Licensed Registered Nurses. Principal Investigator: Dr. Rossler, IRB Approval Baylor Research Institute 3/3/2017 and Baylor University 3/27/2017. Study Start Date: June 2017. IRB #017-001. Badowski, D., Horsley, L., Rossler, K., Mariani, B., & Gonzalez, L. (2017). Use of Electronic Charting during Simulation in Nursing Programs: A National Survey in the United States and Canada. IRB Approval Site: DePaul University: Research Protocol # DB022317NUR. Study Start Date: March, 2017. Study Closed. Rossler, K., Sankaranarayanan, G., & Duvall, A. (2017). Effectiveness of Virtual Reality on Operating Room Fire Safety Skills among Nursing Students. Principal Investigator: Dr. Rossler, IRB Approval Baylor University 1/6/2017. Study Closed. Rossler, K., Hardin, K., Leveille, M.H., Wright, K. Readiness for Practice: Transitioning with Human Patient Simulation. Principal Investigator: Dr. Rossler, IRB Approval Baylor University and Baylor Research Institute 3/2016. Study Closed. Rossler, K., Bennett, A. (2016). Exploring Transition through Integration of Human Patient Simulation in a Medical-Surgical Residency Program: A Qualitative Study. IRB Approval 2015. IRB Study #2015.07.02. Study Closed. Rossler, K., & Hultquist, B. (2015). Simulation and Exit Exam Preparedness: Pilot Study Exploring Student Perceptions. Principal Investigator: Dr. Rossler. IRB Approval 5/5/2015. Study Closed. Rossler (2015). Research Project: Peer Assisted Learning: A Platform for Remediation. Principal Investigator: Dr. Rossler. Funded: $4,350.00 Baylor University, University Research Committee Small Grants Program. Rossler, K. L., Buelow, J. R., & Thompson, A.W. (2013). Interprofessional Collaboration: From Armstrong to the Community. Charting Excellence Together: Grants 2013-2014. Strategic Planning and Resource Council (SPARC II). Rossler, K. L. – Primary Researcher/Investigator Funded: $4,562.50. Buelow, J. R., Thompson, A. W., & Rossler, K. L. (2013) “Online, Simulation, or Role Play Oh My: Identifying Interprofessional Teaching Methodologies Which Fit Your Students’ Learning Needs.”. Interprofessional Education Course Research. Armstrong Atlantic State University. Non-Funded. Dr. Rossler serves on the Undergraduate Research and Scholarly Achievement (URSA) Committee for Baylor University. Badowski, D., Rossler, K., & Gill-Gembala, T. (2018). Telehealth simulation with motivational interviewing: Impact on learning and practice. [Submitted for Peer Review, August 2018]. Dubert, C., Badowski, D., Crawford, C., Rossler, K., Turkleson, C., & Burbach, B. (2018) The Mentored Grant Writing Experiences of Research Fellows. [Submitted for Review to Journal of Professional Nursing, July 2018. Assigned the following manuscript number: JPN-D-18-224]. Rossler, K.L., Bennett, A. (2017). Restructuring a hospital nurse residency: Nursing and patient safety unite. Clinical Simulation in Nursing. 13(2), 90-93. http://dx.doi.org/10.1016/j.ecns.2017.01.001. Rossler, K. L., Buelow, J. R., & Thompson, A.W. (2016). Effective learning of interprofessional teamwork. Nurse Educator. doi: 10.1097/NNE.0000000000000313. Stefanski, R. R. & Rossler, K.L. (2009). Preparing the novice critical care nurse: A Community- wide Collaboration using the benefits of simulation. The Journal of Continuing Education in Nursing, 40(10), 443-451. 2014 Rossler, K., Buelow, J., & Thompson, A. (2013). “Online, Simulation, or Role Play Oh My: Identifying Interprofessional Teaching Methodologies Which Fit Your Students’ Learning Needs. [Podium Presentation]. International Nursing Simulation/Learning Resource Centers Conference. Orlando, FL. June 19-21, 2014. International Conference. 2014 Thompson, A., Rossler, K., & Buelow, J. (2013). “High Fidelity Patient Simulation and Experiential Learning: Recruiting, Advising, and Teaching the New Generation." [Poster Presentation]. All Together Better Health 7 (ATBH7). Pittsburgh, PA. June 6-8, 2014. International Conference. 2014 Behringer, D., Warnock, S., & Rossler, K. (2014). “Implementing A Community Asthma Education Program." [Podium Presentation]. Armstrong 2014 InterProfessional Health Care Summit. Savannah, GA. April 4, 2014. State Conference. 2018 Badowski, D. M., Horsley, L., Mariani, B., Rossler, K., & Gonzalez, L. (2018) Use of the electronic health record in simulation: A descriptive study. Quality and Safety Education for Nurses Annual Forum Bonita Springs, FL, May 2018. 2018 INACSL Standards Committee. (2018). Design Your Simulation-Based Experience Using the INACSL Standards: A Hands-On Workshop. [Accepted for a Workshop]. INACSL International Nursing Simulation/Learning Resource Centers Conference, Toronto, ON. June, 2018. 2018 Rossler, K., Sankaranarayanan, G., & Duvall, A. (2018). Virtual Reality Simulation: Collaborating to Teach Operating Room Fire Safety Skills to Nursing Students. [Accepted as a Poster Presentation]. INACSL International Nursing Simulation/Learning Resource Centers Conference, Toronto, ON. June, 2018. 2017 Leighton, K., Aronson, B., Schneidereith, T., Rossler, K., Westmoreland Miller, C., McDermott, D., &Graham, L. (2017). INACL’s revised Standards of Best Practice: SimulationSM. Sim Expo, Toronto, ON, CA December 1, 2017, [Workshop]. 2017 Rossler, K., Hardin, K., & Leveille, M.H. (2017). “Integrating Simulation-Based Education Into the Healthcare Setting: Newly Licensed Nurses Learn to Transition” [Accepted for Podium Presentation] 28th International Research Congress: Sigma Theta Tau International, Dublin, Ireland 7/27-31-2017. 2017 Rossler, K., & Hardin, K. (2017). “Simulation Education to Promote Transition into Clinical Practice” [Accepted for 60 Minute Podium Presentation]. Association for Nursing Professional Development (ANPD) Conference. New Orleans, LA. 7/18-21/2017. 2017 Turkelson, C.L, Dubert, C.J., Kardong-Edgren, S., Aebersold, M., Mariani, B., Badowski, D., & Rossler, K. (2017). “The INACSL Research Fellowship: Learning How to Be a Successful Grant Writer!” [60 Minute Podium Panel Presentation]. INACSL Conference 2017. Washington, DC, 6/21-24/2017. 2017 Badowski, D., Horsley, T.L., Rossler, K., Mariani, B., & Gonzalez, L. (2017). “Use of Electronic Charting During Simulation in Nursing Programs: A National Survey in the U.S.” [Podium Presentation]. INACSL Conference 2017. Washington, DC, 6/21-24/2017. 2017 Forneris, S., Stephen, C., & Rossler, K. (2017). CHSE Readiness Review Course. [8 Hour Education Session]. 17th Annual International Meeting on Simulation in Healthcare (IMSH 2017) conference. Society for Simulation in Healthcare, Orlando, FL. 1/28/2017. 2016 Rossler, K.L., (2016). “Peer Assisted Learning: A Platform for Remediation” [Poster Presentation]. INACSL International Nursing Simulation/Learning Resource Centers Conference. Grapevine, TX. June 15-18, 2016. Awarded Honorable Mention. 2015 Rossler, K., Thompson, A., & Buelow, J. (2015). “Finding a Fit: Simulation Strategies Implemented for an Interprofessional Education Course” [Poster Presentation]. Bridging Practice & Education: A New World of Innovation & Technology National League for Nursing Summit 2015. Las Vegas, Nevada: September, 2015. 2015 Zigmont, J. & Rossler, K. (2015). “Are You Prepared to Complete the Examination to Become a Certified Healthcare Simulation Educator (CHSE)?” [Accepted for 4 hour Educational Presentation]. International Nursing Association for Clinical Simulation/Learning 14th Annual INACSL Conference. Atlanta: GA, June 10-13, 2015. 2015 Rossler, K., Thompson, A., & Buelow, J. (2015). “On-Campus Interprofessional Simulation: Recruiting, Advising, and Teaching the New Generation”. [Podium Presentation]. International Nursing Association for Clinical Simulation/Learning 14th Annual INACSL Conference. Atlanta: GA, June 10-13, 2015. 2015 Garza-Sally, B. (2015). “Health Disparities within the Mixed Race Population”. Texas Undergraduate Research Day at the Capitol: Transforming Texas through Undergraduate Research. Rossler, K. Faculty Adviser. 3-4-2015. 2015 Palak, K., & Rossler, K. (2015). “Complementary Alternative Medicine: Exploring Knowledge and Cultural Competence in Oncology Nursing. [Poster Presentation]. National Council on Undergraduate Research conference. Cheney: Washington, April 16-18, 2015. Faculty Adviser. 2014 Rossler, K., Buelow, J., & Thompson, A. (2014). “Online, Simulation, or Role Play Oh My: Identifying Interprofessional Teaching Methodologies Which Fit Your Students’ Learning Needs. [Podium Presentation]. International Nursing Simulation/Learning Resource Centers Conference. Orlando, FL. June 19-21, 2014. International Conference. 2014 Thompson, A., Rossler, K., & Buelow, J. (2014). “High Fidelity Patient Simulation and Experiential Learning: Recruiting, Advising, and Teaching the New Generation.” [Poster Presentation]. All Together Better Health 7 (ATBH7). Pittsburgh, PA. June 6-8, 2014. International Conference. 2014 Behringer, D., Warnock, S., & Rossler, K. (2014). “Implementing A Community Asthma Education Program.” [Podium Presentation]. Armstrong 2014 InterProfessional Health Care Summit. Savannah, GA. April 4, 2014. State Conference. 2014 Rossler, K. L. (2014). “Exploring Interprofessional Education through Simulation.” [Live Demonstration/Podium Presentation] Armstrong 2014 InterProfessional Health Care Summit. Savannah, GA. April 4, 2014. Invited Speaker to State Conference. 2014 Rossler, K. L. (2014). “Exploring Interprofessional Education Through Simulation.” [Podium Presentation] for the Georgia Association for Nursing Education 2014 Annual Conference. Buford, GA. February 20-22, 2014. State Conference. 2014 Rossler, K. L. (2014). “Exploring Interprofessional Education through a High-Fidelity Human Patient Simulation Scenario: A Mixed Methods Study. [Poster Presentation] for the 14th International Meeting on Simulation in Healthcare (IMSH 2014) conference. Society for Simulation in Healthcare. San Francisco, CA. January 26-29, 2014. International Conference. 2013 Buelow, J. R., Thompson, A. W., & Rossler, K. L. (2013) “Online, Simulation, or Role Play Oh My: Identifying Interprofessional Teaching Methodologies Which Fit Your Students’ Learning Needs.” [Interactive Poster Presentation] CAB IV: Interprofessional Collaboration: Transformative Change from the Classroom to Practice. Collaborative Across Borders IV, Vancouver, BC: Canada. June 12-14, 2013. International Conference. 2009 Rossler, K.L., & Stefanski, R. R. (2009). “Community Wide Critical Care Training: Educating Beyond the Basics Using Simulation.” [Poster Presentation] at the National Teaching Institute and Critical Care Exposition sponsored by the American Association of Critical Care Nurses. New Orleans, Louisiana, 05/09. National Conference. 2008 Rossler, K.L. Finding the Freedom to Breathe: Chronic Obstructive Pulmonary Disease [On-Line Module Presentation]. Continuing Education Presentation Program for University of Louisiana at Lafayette. Lafayette, Louisiana, 05/ 2008. Local Presentation Modules. 2008 Stefanski, R.R., & Rossler, K.L. “Community Wide Critical Care Training:Educating Beyond the Basics: Simulation in Nursing Education.” [Poster Presentation] at the Technological Innovations in Nursing Education & Practice: Best Practices in Informatics and Simulation Conference in Hilton Head, South Carolina, 03/08. 2008 Rossler, K.L. & Stefanski, R.R. “Community Wide Critical Care Training, Educating Beyond the Basics: Simulation in Nursing Education.” [Podium Presentation] at the Accent on Scholarship, Sigma Theta Ta Research Day, University of Louisiana. Lafayette, Louisiana, 01/08. 2007 Rossler, K.L. “Shades of Gray: CXR Interpretation in the ICU”. [Podium Presentation] Preparing the Critical Care Nurse Critical Care Course in Lafayette, Louisiana, 08/07. 2007 Rossler, K.L. Chronic Obstructive Pulmonary Disease [On-Line Module Presentation]. Continuing Education Presentation for University of Louisiana at Lafayette. Lafayette, Louisiana, 03/2007. 2003 CNS Models of Practice: A Perspective from Graduate Students. [Poster Presentation] at the National Association of Clinical Nurse Specialists Conference in Pittsburgh, Pennsylvania, 03/03. 2002 Belief Patterns that Affect Health Care: A Multicultural Prospective Group Presentation: Armstrong Atlantic State University Sigma Theta Tau International Research Day, Savannah, Georgia, 04/02.